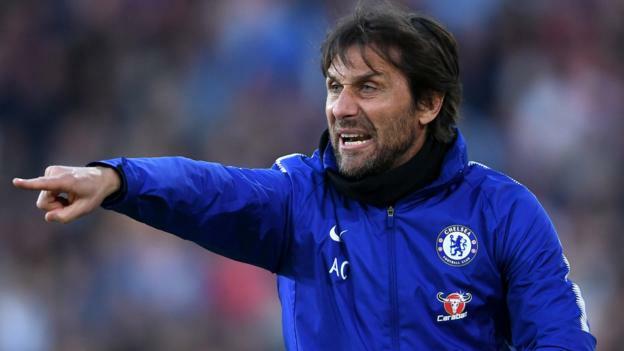 Antonio Conte has revealed that the resolution to the ongoing uncertainty about his position as the head coach for Chelsea will be swift when the season comes to an end. The Italian has spent a lot of the campaign abstaining from commenting on what he has termed the speculation, but has ended his silence, saying that his future will be clear after the FA Cup Final. This, as punters who take part in the action thanks to the online betting NZ provides, is set to take place against Manchester United on Saturday the 19th of May 2018. Conte, who looks likely to leave Chelsea even though he won the Premier League in his first season and has managed to guid the club to successive FA Cup Finals, added that it was not his responsibility whether or not the team is properly prepared for the next campaign. He said that it was hard to comment on conjecture because it had been swirling around him from the season’s start, after the first game, which took place against Burnley. He went on to say that the theorising was unimportant to him because his only focus was to do his work the best way he could with the players he was in charge of in the here and now. He ended his statement by saying that the season is set to end soon, and that all the hypothesising would be resolved then: we will either see a different situation, or welcome him back again next season. When he was asked if he would be leaving behind a squad in good shape and some expensive players for the season to follow, Conte stated that this was not his task, telling whether or not he did a good job or if he had a high quality team for next season or whether or not they were building something of importance. He said that the club was where it was, and had done what it had done, and that people could make their own judgements regarding the season and the situation. The Daily Telegraph made it known last month that Chelsea Football Club has drawn up two lists of candidates to replace Conte were he to depart this summer, named A and B. The hierarchy are hoping that a carousel of managerial positions among the biggest clubs in Europe will allow them to avoid paying a possible bill of £9 million to fire Conte if he is not immediately able to find another position. Conte has never stayed in a management position at any club for longer than three seasons. The time he spent at Juventus marks the longest managerial role he has undertaken in a career that has spanned six clubs as well as the national team for Italy, in the space of 12 years, and that was from 2011 to 2014. When he was asked if he wanted to spend a longer period of time at a single club, Conte replied that there were two parties involved in those kinds of decisions, not just one. He said that he enjoyed working with his players in order to build something, but that the final result was what counted in his field.